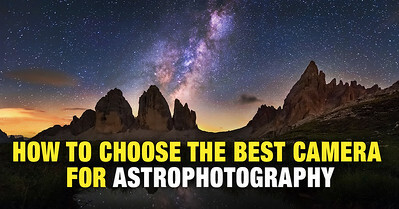 What is the single most important thing you need to take a photograph? I guess “camera” was the first thing that came to your mind. And yet there are artists out there who create images with photosensitive materials without a camera. So what do they still need? That’s right. They need light. There is no photography without light. 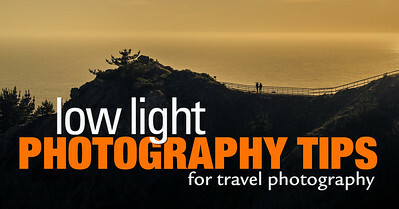 And I’ve dedicated this next post to everything you need to know about light before you start taking well-exposed photos. 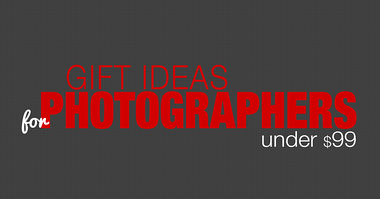 The word “photography” is made up of two words with a Greek origin. “Phōtos” means “light” and “graphé” means “drawing”. So to photograph is to “draw” images using light. Sounds like magic, doesn’t it? But it’s actually physics combined with either chemistry or electronics. Let’s find out how that magic happens. When we press the shutter button of a film camera the light that has entered through the lens hits the film. Photographic film is covered with plastic emulsion that contains photosensitive silver halide crystals. These crystals react to the light chemically and the film “records” the image. You must take the film out of the camera and develop it with proper chemicals in complete darkness. Otherwise light will ruin it. The process of creating images with a digital camera is a bit different. Again light enters the camera through the lens but instead of a film, it hits the image sensor. The camera sensor consists of tiny units, pixels. Each pixel measures the intensity of light by counting the number of photons reaching the unit and records this as digital data. That’s it. In a nutshell, the RAW data is the collection of recorded values of intensity of light from each pixel of the sensor. Before we can “paint with light” we need to measure and recorded it. The transformation of raw digital data into final image happens in the camera processor if we shoot JPEG or in RAW editing programs like Lightroom if we shoot RAW. The clouds serve as a giant defuser to soften the midday light. 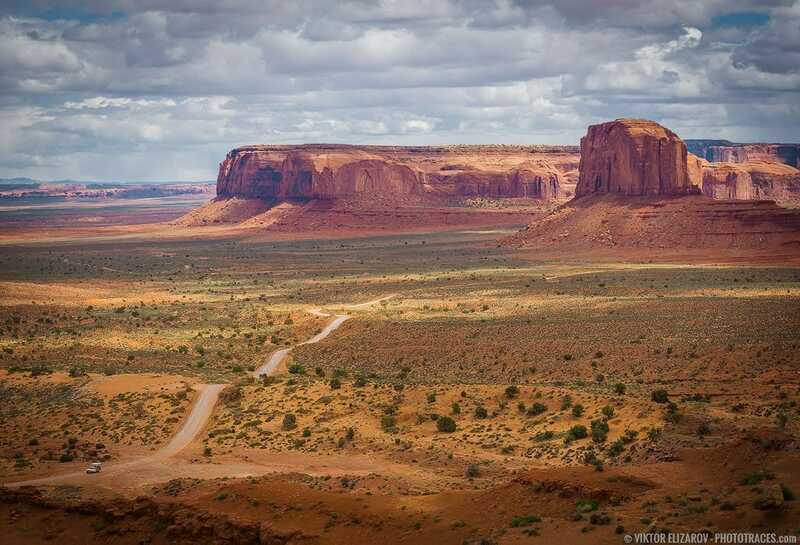 Monument Valley (Arizona). It’s important to add here that if you want to have access to this whole data, you should always shoot in RAW format. Shooting in RAW gives you an unprocessed file that stores the whole color information. 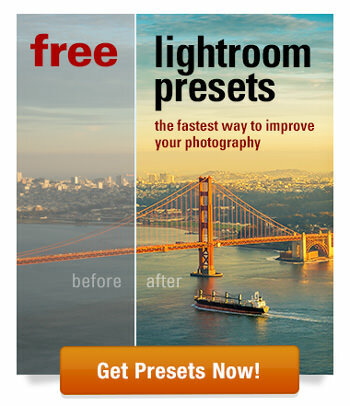 You are then free to manipulate this data in Photoshop or Lightroom. Shooting in JPEG will result in a processed picture with automatically assigned color and brightness value. You can still edit it in Photoshop but you no longer have the freedom to manipulate it to such a great extent. In other words, with RAW you can make the object look the same as you saw it through your viewfinder (or better!). With JPEG you need to reconcile with what your camera “thinks” it saw. We already said that light is your most important tool. In studio settings, you have consistent light sources that you can manipulate any way you want. However, outside it’s a bit trickier. Your light source is the sun. You can’t move it or soften its light. 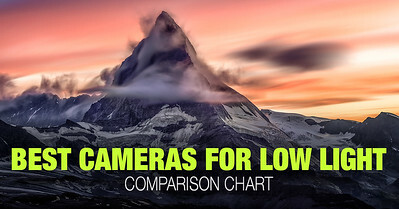 You just have to wait for the right conditions and adjust your camera settings accordingly. Light is different throughout the day because of the position of the sun. At midday sunlight falls almost vertically and the diffusing effect of the atmosphere is minimal. This results in sharply-lit high-contrast photos that don’t look so pleasing to the eye. In the morning and at the end of the day, however, the sun is closer to the horizon and it takes longer for the light to enter through the atmosphere. That’s why photos taken at sunset have softer shadows and highlights. When the sun dips below the horizon it illuminates the entire sky with the soft nondirectional light. Big Sur (California). When the sun is low it’s also easier to frame the object in such a way that it faces the light. Or to shoot against the light, if that’s what you want. In short, there are more opportunities of using the light and the results are better. We already said when light conditions are the best for shooting. Of course, this doesn’t mean you should only take photos at sunset. Let’s outline the different types of light throughout the day. As we said, photos taken at midday generally have high contrast, bright highlights, and deep shadows. As a result, landscape photos don’t look very pleasing. However, you can safely shoot at noon on a gloomy day. 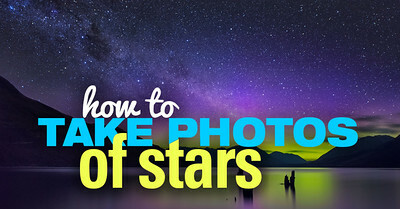 The clouds will act as a diffuser and your photos will be softer with subdued tones. The harsh afternoon light is defused by thick layers of the clouds. Siera (California). Photographers use the term Magic Hours to define two times of the day when sunlight is especially favorable. They are called the Golden Hour and the Blue Hour. The Golden Hour starts 30-60 minutes before sunset and ends a bit after the sun sinks below the horizon. The light is soft and diffused and has a characteristic golden glow (hence the name). The Golden Hour in San Francisco (California). The Blue Hour occurs just after sunset and lasts for maximum 60 minutes. The sun isn’t in the sky anymore so nothing casts a shadow (if there are no artificial lights in your frame). The resulting photographs are soft and characterized by cool, blue tones. The Blue Hour in Montreal (Canada). The same logic applies to the sunrises. But it works in reverse. The Magic Hours starts with the Blue Hour and gradually transitions into the Golden Hour. During the night you use the light of the moon and the stars. It is much less intense than the sunlight so you need very long exposures and a very stable camera to capture it. Photographers who shoot cityscapes make use of the artificial lights present in the scene. Other photographers use external light to illuminate objects in the frame that are otherwise dark (the so called light painting). It takes more than just making use of the Magic Hours to take a well-exposed and eye-pleasing photograph. But they’re a good place to start. You still need to master choosing the right aperture and metering at the right areas. You still need to learn how to polish your photographs in post-production. But if you go out at the right moment, your chances of creating a beautiful image are much higher. Do you have any questions or comments on the topic of light? Share it with me in the comments below. I found your blog really very useful, mainly for beginner photographer like me has lot of things to learn from here. Thanks for this post! I love your concise and precise articles! 🙂 with sample photos. 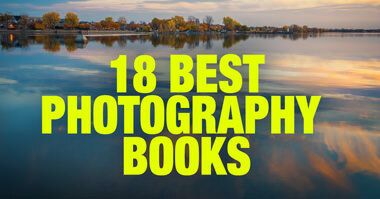 It’s a great way to also refresh some of my learnings from Photo School. Thank you for sharing your knowledge! Thank you for the easy to understand treatment to what many make very complicated!